Philip II Augustus (French: Philippe Auguste; 21 August 1165 – 14 July 1223) was the King of France from 1180 to 1223, and the first to be called by that title. 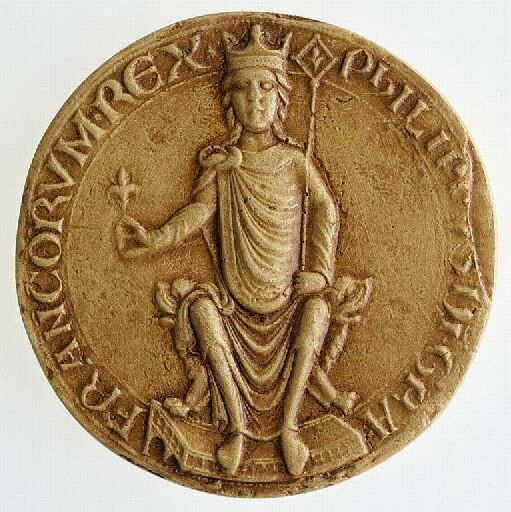 His predecessors had been known as Roi des Francs (King of the Franks) but from 1190 onward Philip was known as ''Roi de France'' (King of France). A member of the House of Capet, Philip Augustus was born at Gonesse in the Val-d'Oise, the son of Louis VII and of his third wife, Adela of Champagne.